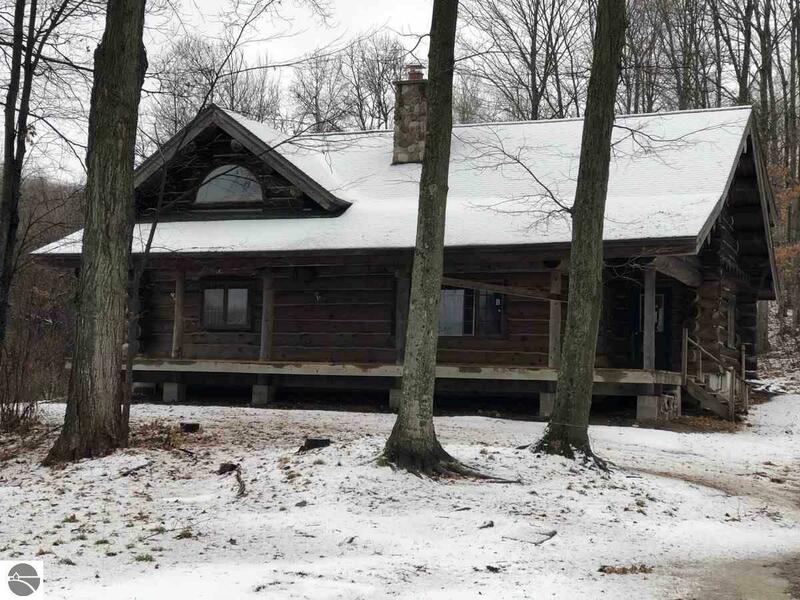 Beautiful large log home with large pole building, all on 45 Acres. The wooded, hilly acreage includes a spring fed trout stream. The log home is in solid condition, but needs some attention. The yard and driveway are also in need of some improvement. There is no heating source, other than the wood stove in the living room, so financing with some types of loans may be a problem. Property is being offered as is, with no disclosures. This is a BANK OWNED FORECLOSURE, NOT a short sale. Easy, quick purchase process. $1,000 minimum Earnest Money Deposit w/offer required.